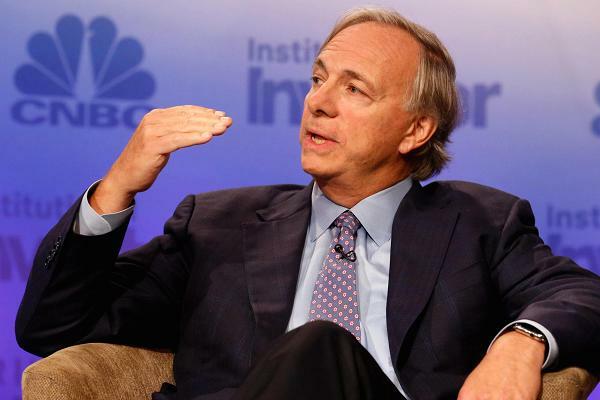 Ray Dalio, who heads the $160 billion Bridgewater Associates, says bitcoin is a bubble. “It’s very much speculative. People are thinking, ‘Can I sell it at a higher price,’ so it’s a bubble,” he said in an interview this morning on CNBC. “With bitcoin, you can’t make much transactions in it and you can’t spend it very easily,” he said. “It’s not an effective store hold of wealth because it has volatility unlike gold." I take a different view on purchasing bitcoin. I think not in terms of making a profit but rather in putting the fruit of my labor into an appreciating asset against the dollar that also allows me to spend it whenever I want without intermediaries. The retailers accepting bitcoin grows everyday, including just announced today, a grocery store chain in South Africa. The more it can be used globally, the more it will appreciate against the dollar, not even necessarily because bitcoin is "worth" more but because the dollar continues to buy less and many are realizing that. The banks and government officials still can't fathom an economy where they can't just add zeros to their ledgers and control all aspects of its flow. From comments I have read from government officials and bank heads about bitcoin, their main "concern" is the lack of government oversight/regulation of it or block chain exchanges in general. From this I deduced a second thing they can't fathom, that their first reason is exactly why bitcoin and all forms of block chain means of exchange are so desirable by so many. Have you ever stopped to ponder how Bitcoin is perceived so positively when compared to the intentionally squashed precious metals market and the sinking dollar is because the financial world is making it too appealing to stay away from it? Whenever its adopted by any central bank is when you better flee to the exits because they seek ultimate control over the transaction of a virtual trading medium based on less than the paper the dollar is made out of.